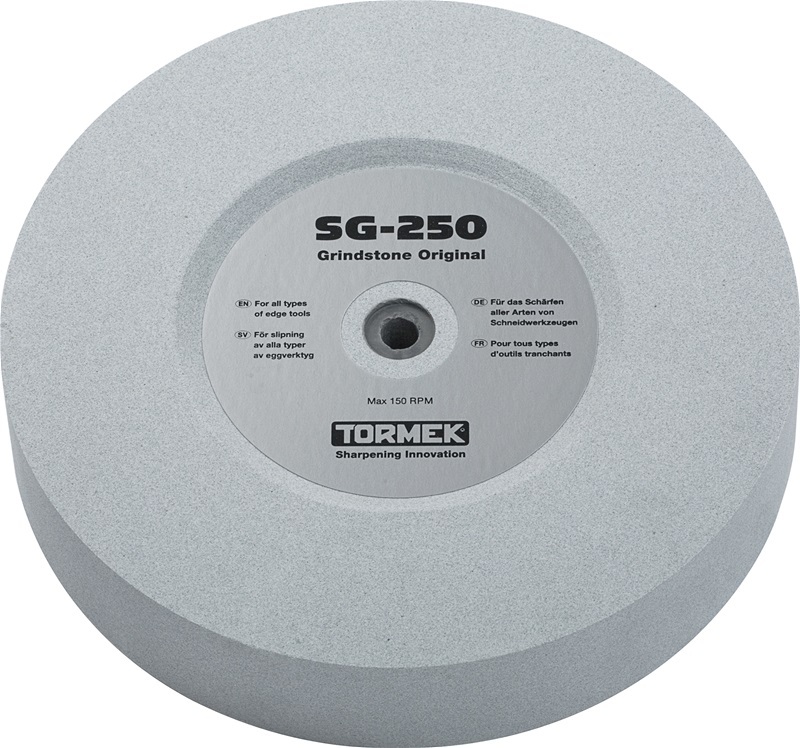 The Tormek Original Grindstone has evolved over the years to offer the best combination of efficient steel removal, smooth surface finish and a long life. 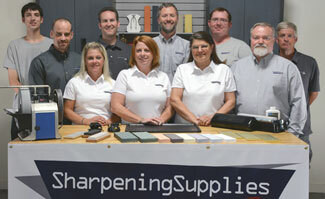 This stone efficiently cuts all types of tools and steel qualities including HSS. This Grindstone measures 10" in diameter and 2" wide. For metric folks, that is 250MM x 50MM. The unique composition of the stone, together with the Stone Grader SP-650 gives you two different cutting actions in one stone. The Stone grader polishes the surface of the grindstone from its normal 220 grit to a finish that works like a 1000 grit stone. This is a great advantage, since you can do the fine sharpening with the same setting of the jig as used for the initial shaping of the tool. The Original Grindstone is the ideal choice when you want both efficient steel removal and fine finish in the same stone over a wide variety of materials, from carbon steel to high speed steel. This stone is sized for the Tormek T8, Tormek T7 and 2000 models.